Doctor in Economics, graduated from Economics and Finance Faculties at the University of Economics in Cracow. Academician at Kozminski University in Warsaw. Doctor in Economics, graduated from Economics and Finance Faculties at the University of Economics in Cracow. Academician at Kozminski University in Warsaw since 2001. He lectures in the fields of macroeconomics, microeconomics, economic policy, management, public finance, and public sector economics. 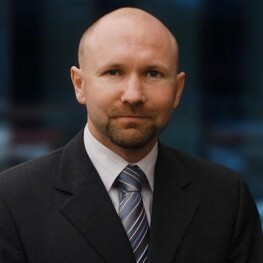 He served as an adviser to the Deputy Prime Minister of Poland, and the Minister of Finance, where he was responsible for structural reforms in the public finance system, in 2002-2003. Lecturer at the European Institute of Public Administration – EIPA, in 2009-2010. Author of numerous publications connected with macroeconomics and public finance.